Out now on the Blizzard Korea Store, is a Wrecking Ball, or Hammond, plushie available for fans to purchase. The plushie is currently not released in the U.S. and European stores. Just like his character model in ​​Overwatch, Hammond is looking adorable in plushie form as well. The doll features Hammond sitting down, holding a sunflower seed with both of his hands. The position that he's modeled after is similar to one of his added sprays in-game. In the spray, Hammond is sitting on a pile of sunflower seeds with a leaf on the top of his head. On the​ product page of the doll, there is a full view of what the entire model looks like. It appears that the sunflower seed Wrecking Ball is holding can be moved and turned around. 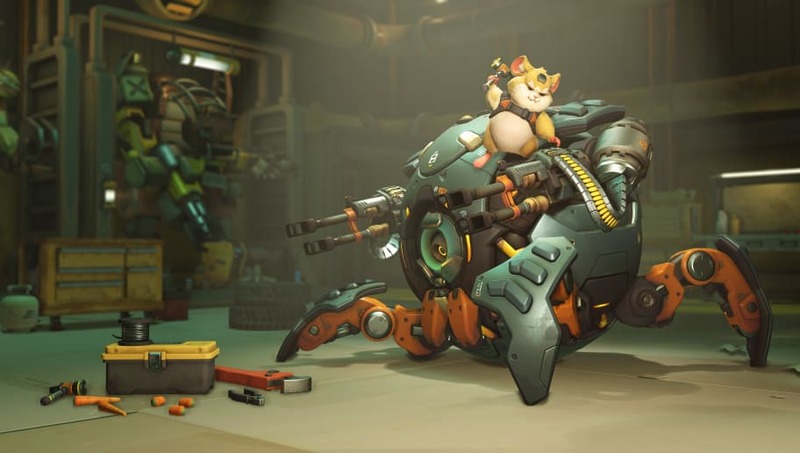 Wrecking Ball is the ​latest tank hero to enter the Overwatch universe, and was ​recently released on the live servers for players to use.